Urban-search-and-rescue members of USAID's Disaster Assistance Response Team (DART) at work in Nepal. The Asia-Pacific region continued to be the world's most disaster-prone region in 2015, requiring a paradigm shift from a response-recovery governance to a risk-sensitive development approach, according to a new United Nations report. The region accounted for over half the world's 344 disasters in 2015, resulting in over 16,000 deaths with 59 million people affected, and the cost of economic damage was more than US$45 billion, excluding indirect losses, the United Nations Economic and Social Commission for Asia and the Pacific (ESCAP) said in a news release. South Asia was the hardest hit, recording 52 disasters and more than 14,000 deaths, with most deaths attributed to the 7.6 magnitude earthquake that hit Nepal in April. Titled “Disasters in Asia and the Pacific: 2015 Year in Review,” the report warns that the region's burgeoning cities may not be adequately equipped to tackle urban disasters that occur more frequently and with greater intensity. Over 700 million people in the region live in cities at 'extreme' or 'high' disaster risk, and by 2030 this number could reach one billion. In many big cities in Asia-Pacific much of the infrastructure is outdated and built without adequate attention to disaster resilience, the report notes. Source: EM-DAT International Disaster Database-www.emdat.be & Reliefweb-reliefweb.int/disaster (Accessed 23 February 2016). Nepal earthquake data is from Nepal 2015, Post Disaster Needs Assessment. Tamil Nadu flood damage and loss data is from media. Last year, the urban centres of Bangladesh, India, Indonesia and Japan were affected by severe floods, while Nepal's capital city, Kathmandu, bore the brunt of the economic damage from the April earthquake. Widespread floods in Chennai, India in December 2015 illustrate the common challenges faced by many big cities. With the ecological buffers depleted over time by rapid, unplanned urbanization, the floods inundated critical infrastructure, disrupted power networks and waterlogged major city roads. Economic damage and loss from the floods have been estimated at more than US$10 billion. According to the report, a prolonged El Niño phenomenon last year drew attention to neglected and often forgotten slow-onset disasters by severely exacerbating effects of heat waves, forest fires, haze, and droughts. Last year was the hottest on record, with Pakistan and India reporting more than 3,400 fatalities from a searing heatwave. Drought caused serious water and food shortages in much of South and South-East Asia and several fatalities in the Pacific. 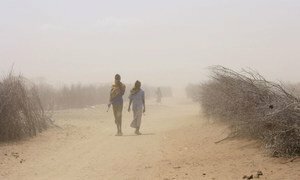 Rather than dealing with the drought only when it becomes an emergency, it should be addressed from a long-term perspective to protect livelihoods. To build a resilient Asia-Pacific, the report further calls for increased focus on risk-sensitive development, and stronger regional cooperation for managing trans-boundary disasters. It advocates capitalizing on emerging technologies such as unmanned aerial vehicles for disaster management but stresses the need to establish regulatory standards for effective use of these technologies. The report, commending the “Zero Casualty” policy implemented in Philippines as a regional good practice, concludes that disaster risk reduction cannot be achieved without political will and effective leadership at all levels of government. A new analysis issued today by the United Nations Office for Disaster Risk Reduction (UNISDR) shows that 2015 – the hottest year on record – confirmed that weather and climate-related disasters now dominate disaster trends linked to natural hazards.